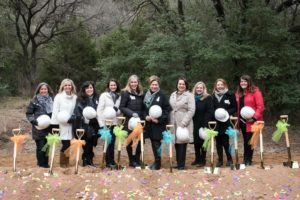 On Thursday, January 18, 2018, the Junior League of Austin broke ground on its new Community Impact Center. The 48,000-square-foot building will double as the League’s headquarters as well as a resource for the League’s numerous community partners. The new space will also allow The Junior League of Austin to expand its signature programs including Coats for Kids, FIT- Food In Tummies, and the newly announced KICS, Kids In Cool Shoes, which will pilot this spring. 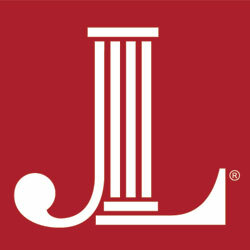 Former JLA President and Capital Campaign co-chair MariBen Ramsey, Capital Campaign Co-Chair Amber Carden, City Council Member Alison Alter and JLA President Julie Hall spoke at the ceremony, which also included a colorful groundbreaking and festive lunch. Numerous past presidents, community leaders and donors were also in attendance. Construction on the new Community Impact Center is anticipated to be completed by Spring 2019.